my reveiw is that if i acheve this book i would be so happy and i would buy book here every single mouth. I watched the movie but, i wanna read this book so much!!!!!!! because books are different than movies for sure!!!!!!!! I LOVE EVERY BOOK OF THIS BECAUSE I HAVE THE NEW ON DOUBLE DAN AND ALL THE SERIES THE BEST BOOKS EVER FIND OUT MORE ABOUT DOUBLE DAN WHICH CAME OUT TODAY! Loved it I think the book it was very funny I like Gregory the boy in the book. I love the title Dog Days ha ha hilarious!! 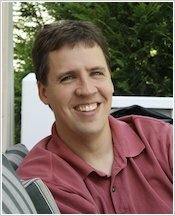 I recommend it love Jeff Kinney. 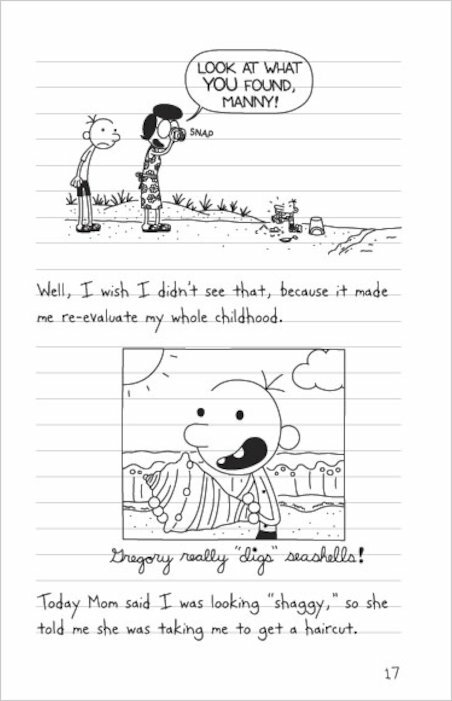 Dog days is not about a dog it is about Greg going on holiday !!! !I love it!!! 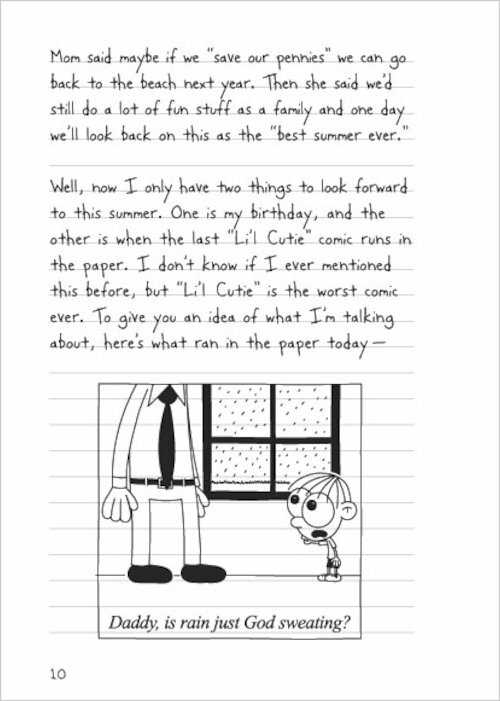 I like every DIARY OF A WIMPY KID book but,this is my favorite so far. Not to good not to bad. This book is great. There is great adventure. My favourite character is holly hills and her dramatic sister heather. I love the part, Heather Hills party her sweet sixteen turned into a deadly disaster. She did want everyone to remember her party so she got what she wanted in the end. 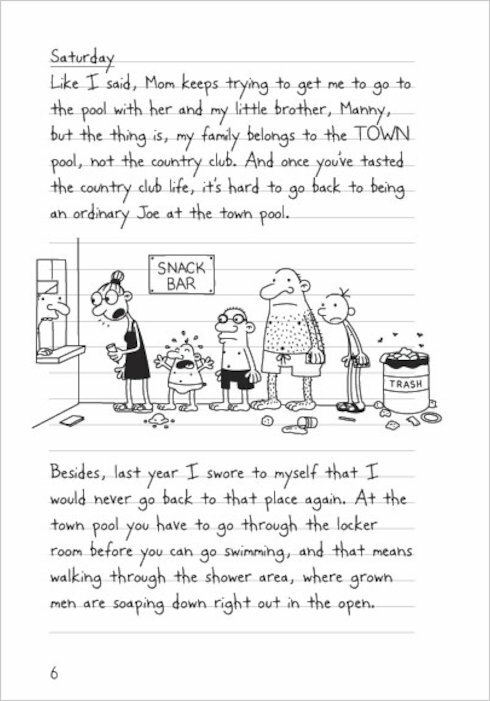 I loved the part where they were playing tennis in the country club and greg thought he had the ball and he fell over the net. and at the end when they were in the pool so yes i do think this book is and do recommend it to other people and i do hope they enjoy it like i do. it was a great book. I liked it very much. I love this book, its full of funny events and when I first started to read it, I got addicted to it and all the other series, I REALLY recommend it! A great, funny and lively book. I give this book 4 stars! This book is jam packed with adventure and laughter! A perfect summer holiday read! In the end grandma gets the dog . 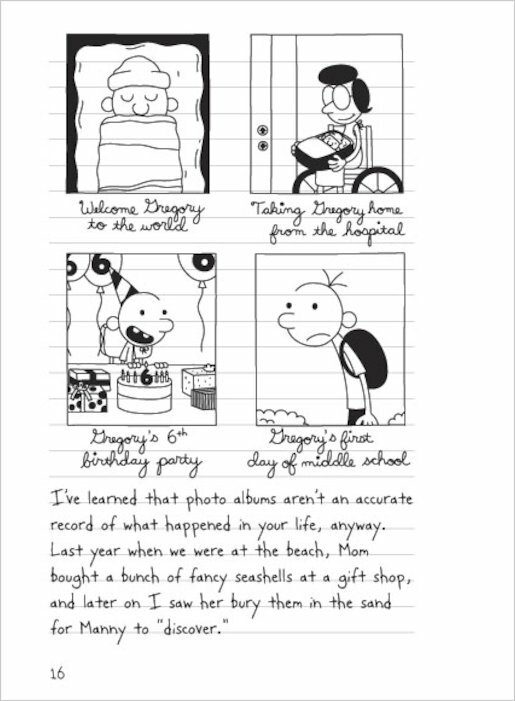 This book is also funny, especially the moments with Greg’s new dog sweetie. so funny. It really gets you attached to greg and sweetie his amazing dog. 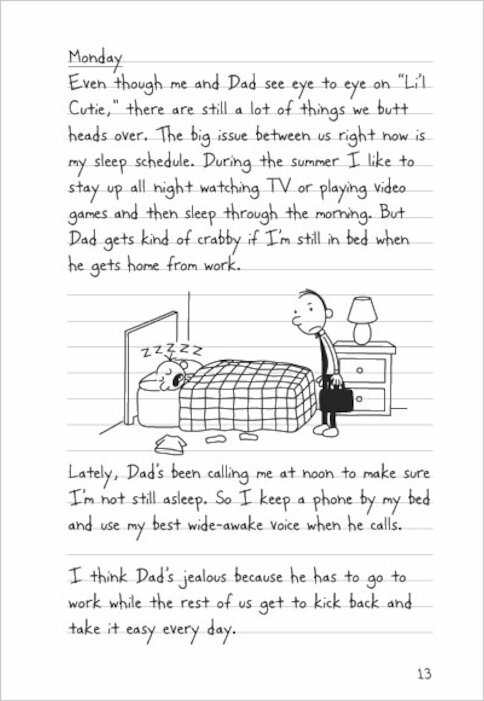 Greg thinks the perfect summer is to stay indoors all summer and play video games but he Mom has a whole different thought. IT WAS FANTASTIC! 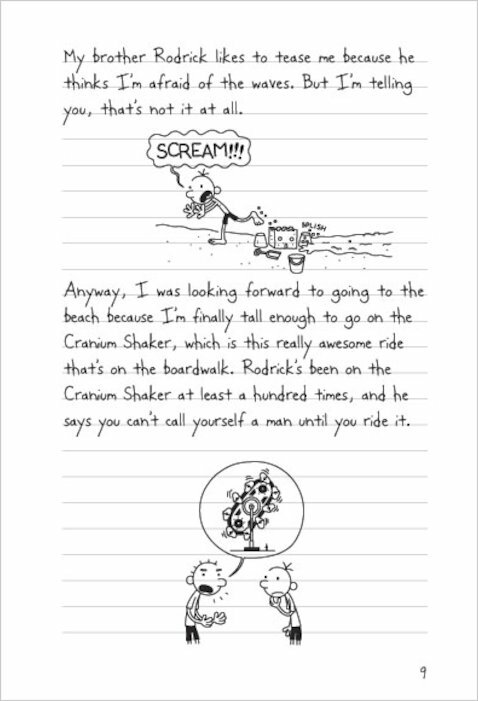 I liked the part when Greg found a key ring (in Rodrick’s room), peered through the key ring and saw a lady with Rodrick. I tried to read it as slowly as possible, to make it last longer, but couldn’t! It was too good! Loved this book as much as i loved all the other ones!!!!!!!!!!! Cant wait to get the new one fot christmas (i hope so) I would defently rate this 5 STARS*!!!!!!!!! this is a cool and a easy book to read. It is very good you must put this on you “must buy” list! I absolutely love this book! I have read it over 3 times! I have read most of the Diary Of A Winpy Kid books and this was one of my favourites. It is so funny I got told off in class for laughing! I admire the drawing too as they are simple but really give the effct of a drawing in a child’s diary! I first read this book at the library but enjoyed it so much I pleaded my mum to buy it! So now, i enjoy reading this book at the library, home and at school! 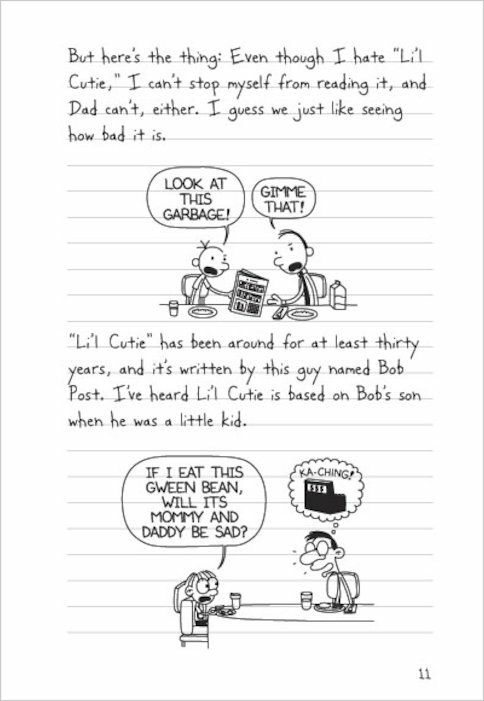 These books are so funny. They include lots of drawings- which is nice. They are a good light read. I would recommend for a young reader. I love the main character- over all the books you really fall in love with him. 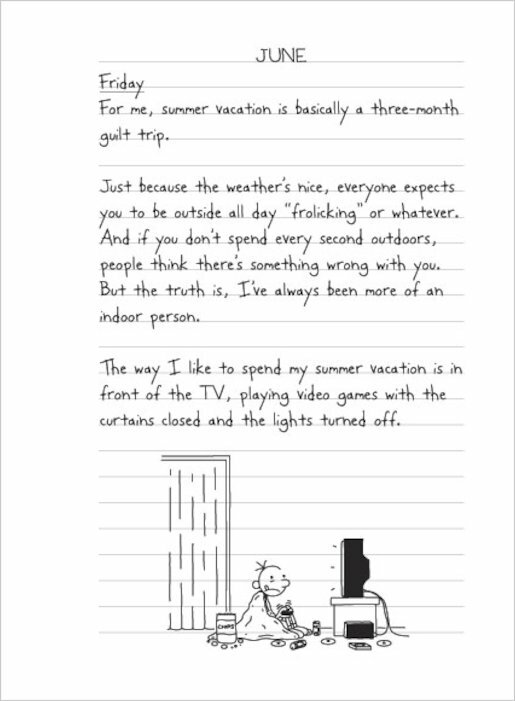 I LOVE THIS BOOK IT IS THE 4TH BOOK IN THE SERIES AND IS ABOUT GREG WHO IS CURRENTLY ON HIS SUMMER VACATION HE PLANS TO STAY INSIDE ALL HOLIDAY BUT HIS PARENTS HAVE OTHER PLANS. WHICH GREG IS NOT HAPPY WITH ….... READ ON TO FIND MORE. HAHAHA!Thats just hilarious.Made me lol all the time! this was also a really fun book to read. This book is so funny and guaranteed to make you laugh all the way through the book. 5/5! 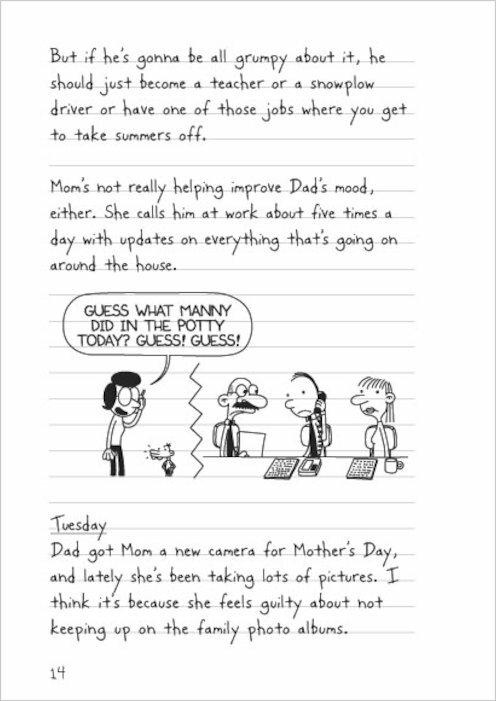 It is the summer holidays and greg is not ready since his mum has planned some activities. international, bestseller 20 million copies sold ! and its one of my favourite books too ! I think that this is a great book and that it is a brilliant book for young readers, I would say from the age between 8-13 I am 11 and i really enjoyed it! hi this book ive always wanted to read this book it is awsome!!!!!!!!!!!!!!!!!!!!!!!!!!!!!!!!!!!!!!!!!!!!!!!!!!!!!!!!! Ha! Great I loved this book! I’d be ok with a dog like sweetie. I don’t know why greg’s not satisfied! * * * + 1/2! In my opinion this is the best of the series! Hilarious! THis book is fantastic !! First one I got and the only one I got from scholastic but still awesome! 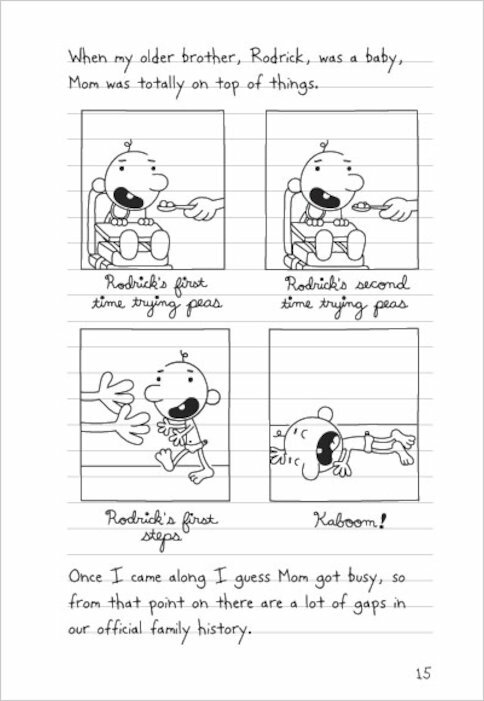 I <3 diary of a wimpy kid!!!! This was fantastic and I really like the fact that it is all set in the summer holidays and Greg is a bit happier in this book. Smashing book a must read. Funny. Any gender will enjoy this also Dork Diaries. i think this book is exellent and i would recemend it to any one. it only took me a hour to read it . 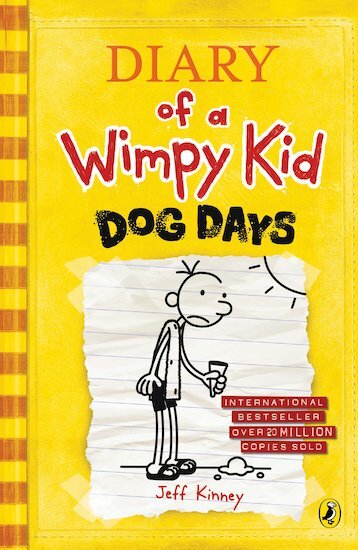 it is the best and i hope that there will be more diary of a wimpy kid books coming out!!!! Its one of the best books i’ve read all YEAR ITS FANTASTIC !! It was so lovely Diary book i liked it a little bit the okay was 3 and i didnt like it and it was for me the diary and I put it in th rubbish. You will love this book! I have read the whole series, awaiting each release patiently, and are great for even reluctant readers. You can’t help burt laughing out loud at this book! 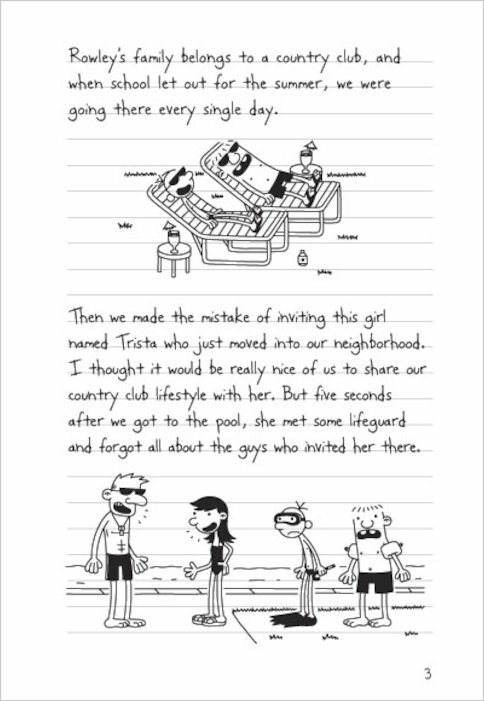 In the fourth installment of the Awesome Wimpy kid series Greg has probabley the worst summer yet! Join Greg and his friends(and enemies)in this Brilliant book wether he’s starting his own lawn service or trying to win over Heather hills in the swimming pool, Greg is always doing something funny so READ THIS AWESOME BOOK! 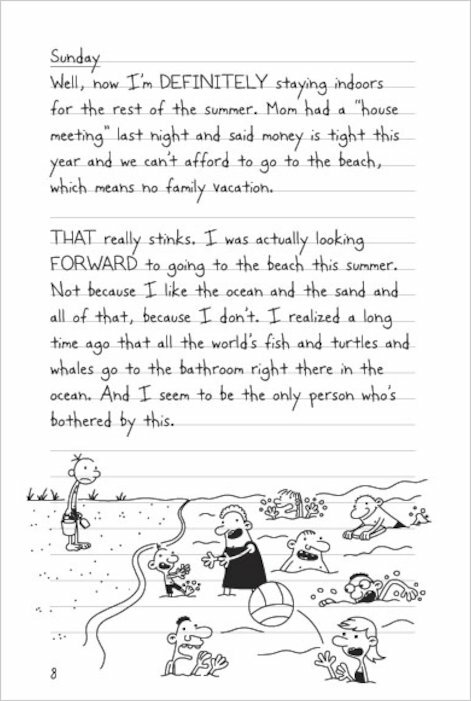 Look out, Gregs on holiday and as usual is up to his funny antics. Laugh out loud funny! UUUUBBBBEEERRR COOOL!! Book excelleant I so love the Wimpy Kid books laughed until I hurt. The funiest books I’ve ever read!!!!!!!!!!!!!!!!!!!!!!!! 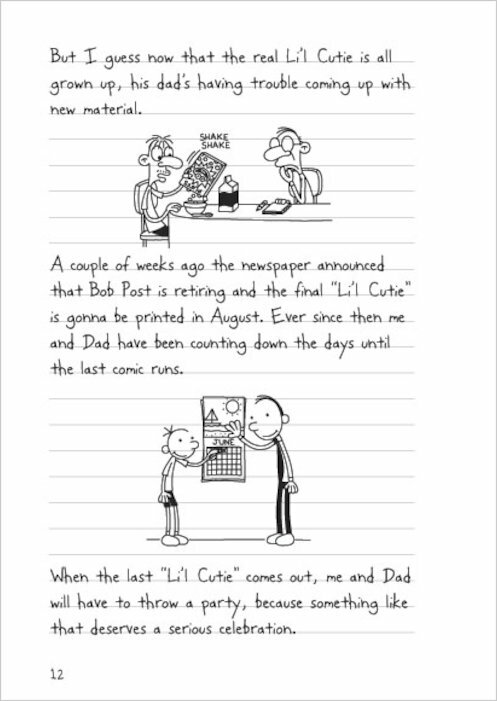 Thats all I can say.Clear theshelves of Dairy Of A Wimpy Kid books because I bet you will laugh your socks and your pants off!!!!!!!!!!!!! !